Being cooped up in the castle all day, every day, is driving Morgan crazy and Tara can see it. To say that it makes her less than happy is putting it lightly. Tara knows that if given the chance, Morgan will leave the castle without having to be asked twice and she also knows that it is only a matter of time. So it is that Tara arranges a diversion for Morgan, a wolf hunt that will hopefully fulfill his need for adventure and keep him close. Sadly, it does the opposite. 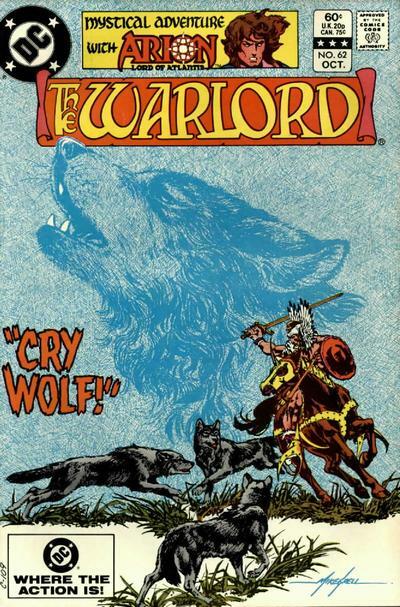 Another wonderful issue is supplied by Mike Grell and he packs it with more drama than he ever has before. You can cut the tension with a knife in the castle as things are strained between the two lovers. Morgan of course does not see it, being absorbed in himself and his activities. He cannot see the sadness that Tara feels, nor the way she acts when she is around Graemore. Tara meanwhile, is trying her best to keep things as if nothing has changed, but things have and it is hard to say if they will ever go back to being the same way again. Having Graemore in the castle is not helping matters any, nor does the hunt which gives Morgan the excuse he needs to leave, saying it is only for an errand to go and see his daughter in order to help the werewolf Roston, but Tara knows better. She knows that once he has a taste of adventuring once again, then that will be it and while Morgan thinks it would be easy enough for Tara to go with him, she must remain and rule for she is a queen with responsibilities, something Morgan simply does not understand. Grell writes this book like a soap opera and it is completely riveting with just enough action thrown in to make things a little more interesting than they are. A truly, wonderful issue through and through.